I have a boyfriend, and he wears bow tie. He almost gave me a heart attack before when he showed me the pictures of him wearing a baju batik to a function (OMG trying really hard to erase the memory of it) and now, a bow tie. I don't know. 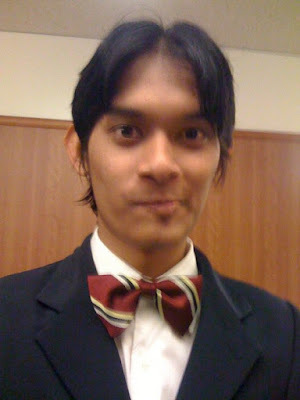 I like it because it's all old school and stuff, and I know he's proud of his school (the bow tie is MCKK's, btw) but it IS kind of a big thing for me, he's never worn one before. If you know him you'd know it suits his personality; he's a really old school person. His idea of a perfect shoes is the one from Adidas Originals. 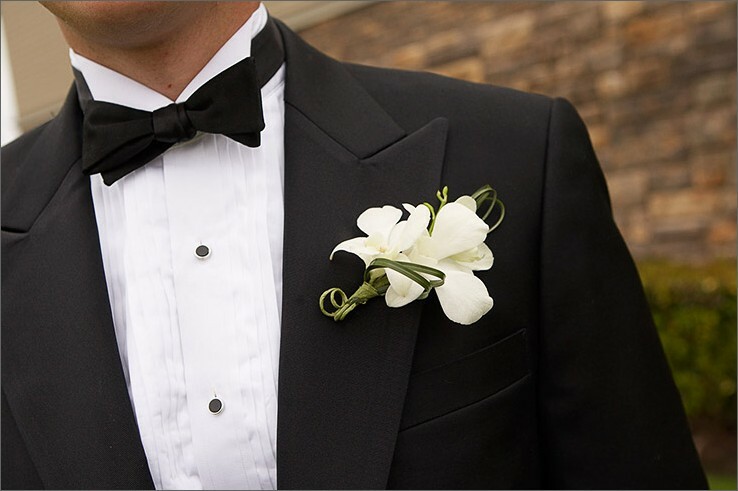 And thank God bow tie goes with weddings. Yea he is a romantic freak haha, but a very discreet one too :) He told me all about everyone, esp his nieces + nephews..would love to meet everyone too! hehe i'll direct the question to him, insyaAllah we'll all meet then (when he's ready) hehehe. Yup, we Pisces are romantic freaks!!! Si mamat tu discreet, nope haha, pics everywhere haha....nway, i can guarantee u that all Hj Johari's guys are gentlemen clan ... so no worries! I know, but I think I'm the one who needs to "be ready" more hehehe...he told me a lot about everyone, so I think it kinda helps :) insyaAllah!